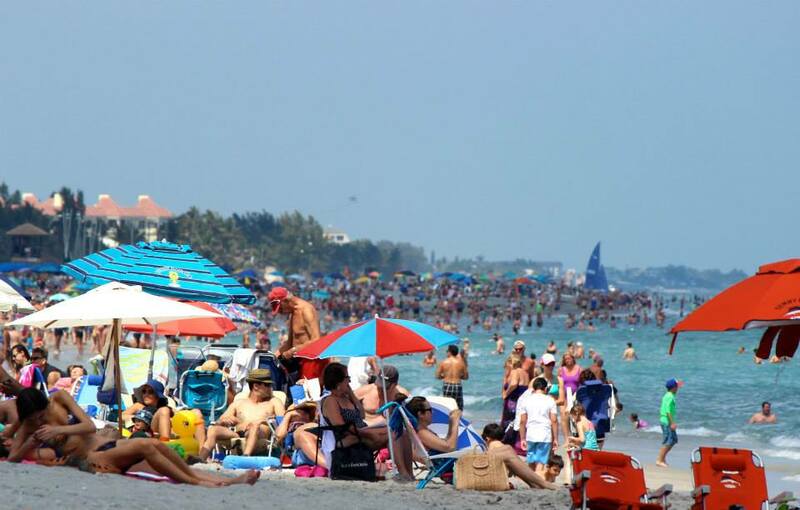 Tourist season in South Florida, USA, starts in November and ends in April of every single year -- again and again and again -- as tourists flock to the south to embrace the best Florida weather in the winter time. In the winter months, Florida has the best weather in the USA. With the warm Florida sunshine, the warm temperatures, and the warm Atlantic Ocean water, you'll find the best weather right here in Florida, USA. Should you plan your vacation during "season" or maybe you'd rather avoid all the tourists, and take advantage of the best rates...off-season! 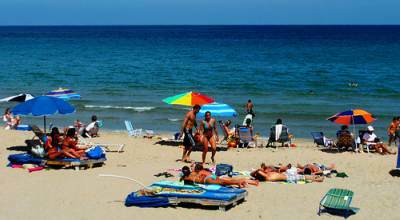 Photo Courtesy of Photographically Yours, Inc.
What is Florida Tourist Season? Florida tourist season is not limited to just tourists. 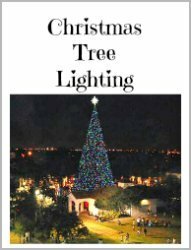 Tourist season really encompasses the tourists plus all the part-time residents who return to their winter homes in Florida every season. Because, after all, remember, the warm Florida winters are exactly why they bought a winter home in Florida! During tourist season, you'll find that most towns actually double in population! This is especially true for the very trendy and desirable destination spots along the Florida beaches. So, do you want to be part of the crowd...or not so much? 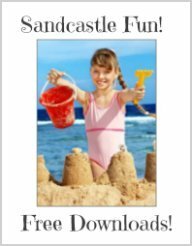 Whether you want to be part of the tourist crowd or you want to avoid the tourist crowd is a decision you might want to consider when planning your Florida vacation. Ask yourself these easy questions and it might help you to decide. 1) What kind of weather do you want? Warm or not so much? This will decide which month you might want to travel. 2) If you are single, you might enjoy the busy tourist season. It's busy! It's vibrant! It's lively! And it has a very electrifying night scene! In the off-season, it can be much slower -- obviously not as much fun if you're looking for a lot of action and hot times. 3) If you're a family with children, you might be looking for an affordable Florida vacation. And if this is the case, then you definitely want to come in off-season when there are some great discounts and coupons available and likewise accommodations are much more affordable! If you want to avoid the tourists and the part-timers, come in off-season, which is May through October. This is when you'll find less of a crowd and better rates on accommodations -- yet you can still enjoy some of the best Florida weather in the off-season months. 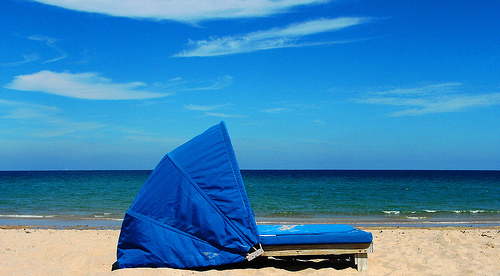 Check the Florida weather for your preference so you can enjoy your vacation to the fullest. Some people do not do well in the heat and humidity, so they are best to come in the cooler months. What's "cooler" in Florida temperature? Cool to us Floridians is about 70 degrees! And in the winter months, that is really quite lovely! 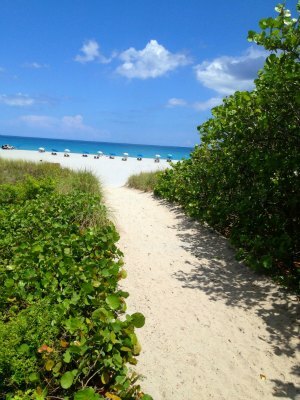 Choose the Best Florida Weather for YOU! Avoiding the crowds, might mean you're the only one at the beach! Personally, for me, I love it! But it may not be right for you. If you like warmer weather and warmer waters, but want to avoid the crowds, then I suggest coming in April or May when the temperature is going to be higher than 70 degrees, yet you will be avoiding much of the tourists. If you like cooler weather, then I suggest coming in October or early November when the temperatures have cooled down and the water is cooler -- but high season has not hit us yet. And, don't forget...Another added bonus of traveling before and after high tourist season, is you will avoid paying the high season rates! 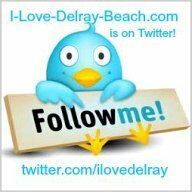 By Thanksgiving, everything is very, very busy and most hotels in Delray Beach, Florida have limited availability. 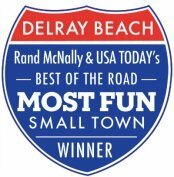 Plan ahead if you need to stay in hotels in Delray Beach, Florida! And I don't say this lightly! I've experienced the "limited availability" of hotels in Delray Beach on holiday first-hand during my Florida Thanksgiving holiday vacation! Doing the "hotel shuffle" isn't the best way to spend your holiday although it is a great way to see four hotels! There is still plenty to do during off-season! 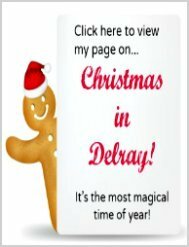 Christmas is Magical in Delray Beach! We celebrate Christmas in a spectactular way! Our holiday celebrations go throughout the entire month of December, ending on New Year's Eve with our family-friendly First Night event. 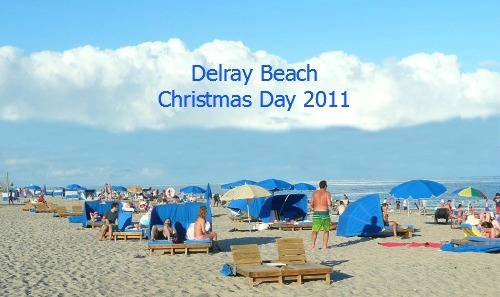 How About Enjoying Christmas at the Beach on Christmas Day! You can expect weather like this! Click here to see Florida December weather.